I have been waiting for a few "round tuits" to post the following movie still photos found in a friend's estate. 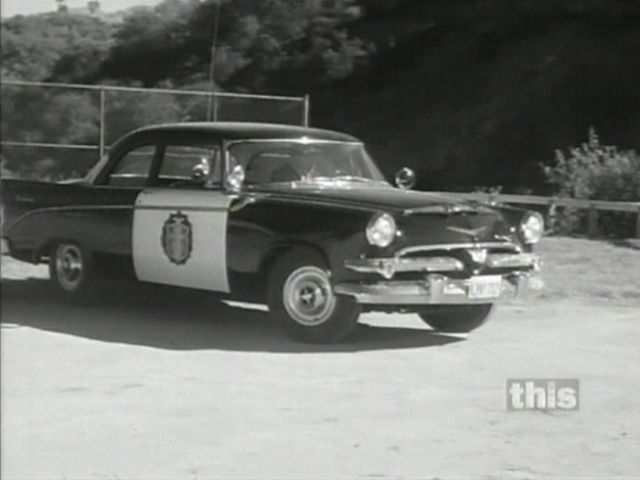 Are these of the same car and movie as the last post? Location: northern germany Here is the german intro of Kojak! I watched it as a 5 year+ old and always wondered about the weird looking blue coupe. 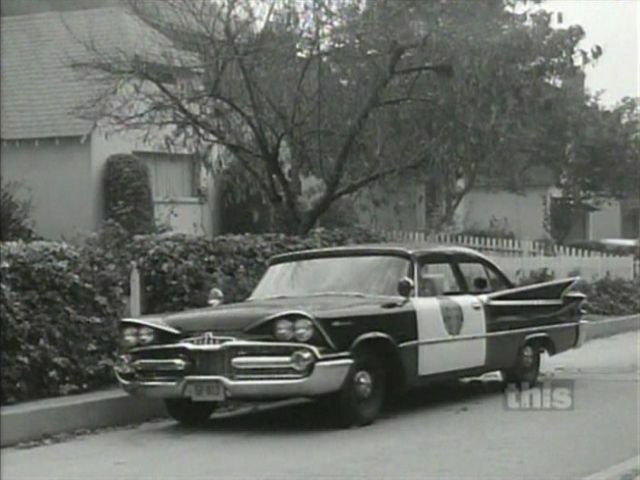 Note, at the same time there is a 60 Dodge in the picture. Spotted a 58 Chrysler town and country, desoto and a convertible 300D i think. 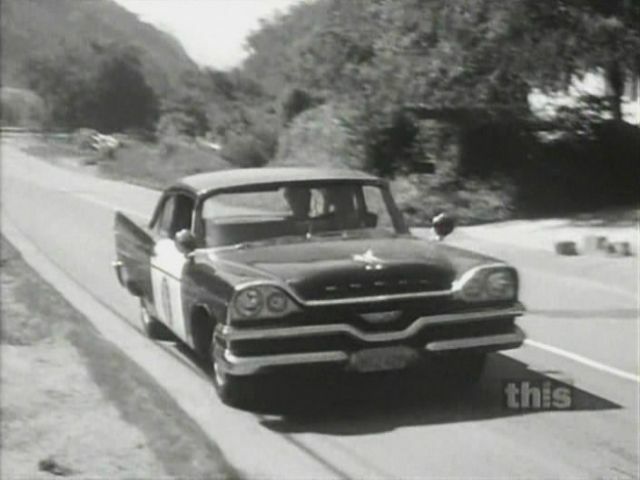 For fun, I found an episode of Highway Patrol from the 1950's that featured a 56 Dodge "Highway Patrol" car. Great Collection of photos. Would make a great collage/poster for a Mopar nut to hang on his/her shop wall. Hint hint. But before I go, we have to remember it's a bit Chicken and the egg as to where the name came from (first). 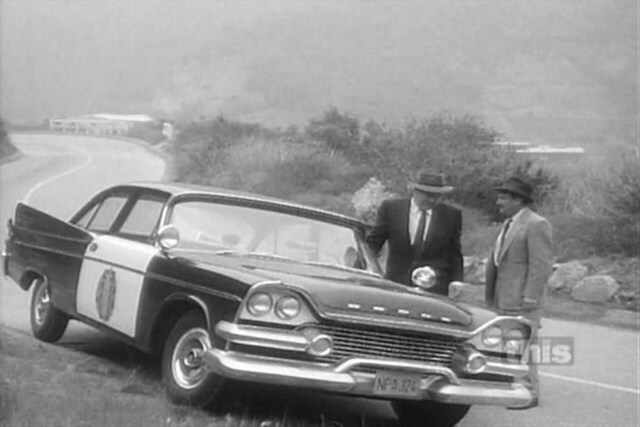 For example, I'm pretty sure that the Savoy hotel in London is not named after the Plymouth. If these theater buildings still exist,it would be cool to park a same name car under it for a photo shoot. Location: Branson, MO I’d have to say it’s a Dodge based on the chrome molding that would be at the front of the fin just behind the driver’s door. I’d have to say it’s a Dodge based on the chrome molding that would be at the front of the fin just behind the driver’s door. 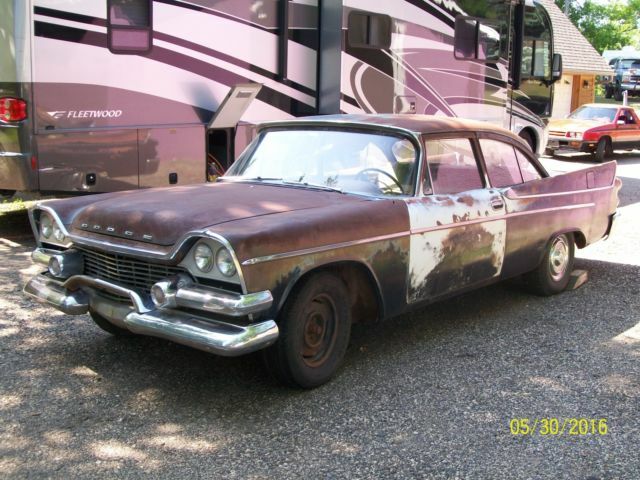 The photo was labeled "57 Plymouth" but I have to agree with you.